Anthem Inc said on Friday it would buy Cigna Corp for about $54.2 billion, creating the largest U.S. health insurer by membership and accelerating the industry’s consolidation from five national players to three. The proposed acquisition, the health insurance industry’s largest, comes three weeks after Aetna Inc agreed to buy Humana Inc for $37 billion. Health insurers are finding it tougher to raise prices following the roll-out of President Barack Obama’s healthcare law, while grappling with soaring expenses of medications including cancer drugs that can cost each patient more than $100,000 a year. Anthem said buying Cigna would help it reduce costs and negotiate lower prices with doctors and hospitals. 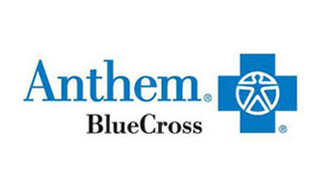 State insurance regulators and federal antitrust authorities are expected to scrutinize how the Anthem-Cigna and Aetna-Humana deals would affect competition for Medicare and individual and commercial insurance. Within a few hours of the announcement, several U.S. lawmakers and a leading physicians group said they feared the pending acquisitions would hurt consumers by raising prices or limiting access to healthcare providers. “The lack of a competitive health insurance market allows the few remaining companies to exploit their market power, dictate premium increases and pursue corporate policies that are contrary to patient interests,” the American Medical Association (AMA) said in a statement.